Birth is clearly an emotive subject for so many people and passion bubbles up quite remarkably for some. To be honest – I LOVE that! It is something I’m clearly passionate about myself which I choose to express through my craft. But there are several various issues regarding my print and really, it’s not about the fact that it was taken down, but more so about why it was put back up. The general media is missing out on a profound story in my opinion (which is possibly my own doing because I chose to not express my thoughts prior to having a good chance to consider them). Yes, at first it was about censorship at a local level – the result of a culmination of coincidental happenings where blame and finger pointing seemed more important and dramatic to everyone else. With fascination becoming stranded by the internal issues at the time, I even failed to appreciate the path ahead. An open door towards the very thing I’ve believed and hoped for since I gave birth to my son 4 years ago. An opportunity to open up dialogue to everyone about birth and it’s impact on both mother and child. It seemed like a trivial question at the time but it did however serve it’s purpose and further stimulate the already tantalising discussions and views being expressed. But quite frankly it’s what happened after that which has brought the true story up to the surface that no one’s grabbing onto. We have an opportunity to challenge social views on birth. This image has transformed people who have held onto pain, or lost those thoughts of joy relating to their experiences with birth. I’ve read hundreds of posts, emails and messages that have warmed, broken and filled my heart in an incredible way. It’s opened people’s minds to the possibility of what’s really acceptable and normal today. This for me is the breakthrough that should be nurtured and fed. Most importantly though, I would like to reiterate the implied respect that is and most deservedly shown towards the mother and child in this photograph. Also, each invitation I have to document one of the most intimate events in a women’s life is an honour and one I deeply respect. I had an amazing collection of opinions and stories shared on my business page that were amazing fodder for contemplation and social consideration which unfortunately have been lost after the image was reported and pulled off by the faceless Facebook merchants! This is the most damaging example of censorship so far because it has not only removed the image but the hundreds of heartfelt thoughts and opinions of all those brave and inspired enough by this image to jump in and play their part in changing societies view on birth. Oh, and if you happen to be interested in learning more about photographing birth, please head to my other website: http://www.birthphotographyworkshops.com/ for access to the resources. 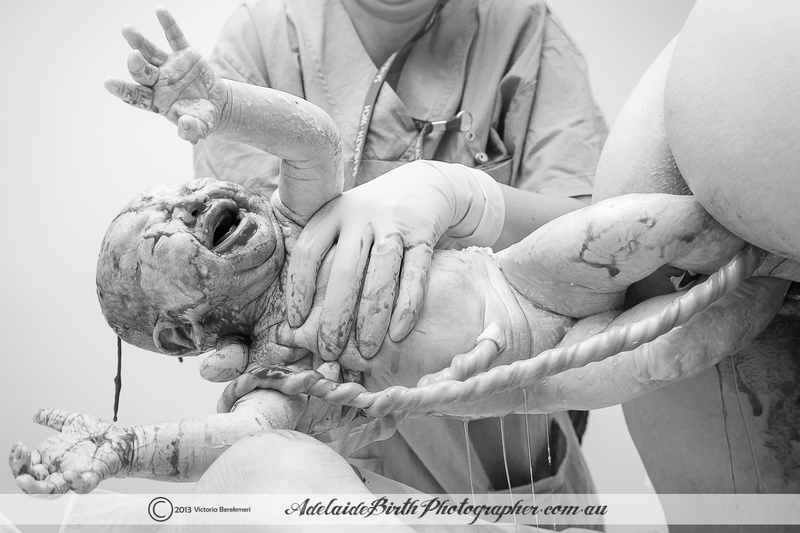 This entry was posted in Birth and tagged Birth, child birth, Photography, victoria berekmeri on July 20, 2013 by Adelaide Birth Photographer. Well I think it is the one of the most moving amazing photos I have seen. Huge congratulations on your deserving award !